The best tinted sunscreens for flawless summer skin. If you’re someone who prefers to wear some form of a base or cover-up on a daily basis — whether it be foundation, powder, or even just a few dots of concealer — chances are you’re going to love tinted sunscreens. 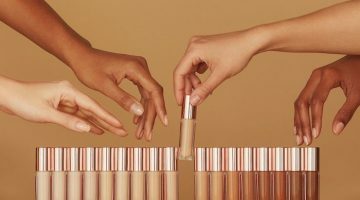 These magical multitasking products come in several different formulas and finishes, so whether you’re a liquid, cream, or powder gal who wants a dewy, matte, or satin finish, there’s a tinted sunscreen to suit your needs. I love tinted sunscreens because they’re lightweight and low maintenance — basically everything you could want in a summer cover-up. With options starting at SPF 15 going all the way up to broad-spectrum SPF 50, tinted sunscreens are great for anyone who is looking for a fabulous all-in-one product or even those who just want to double up on their SPF under their foundation. Tinted sunscreen is basically the best thing in the history of ever and is a South African beauty’s dream come true this summer season. Wear it to the beach, poolside, or to an outdoor festival, and enjoy flawless skin without having to worry about scorching in the sun! Not sure which one to try? Here are our top 5 picks for the best tinted sunscreens this summer. The ideal sea and city sunscreen, this gem from Coverderm is the bomb at covering up imperfections, while deeply moisturising and nourishing skin. Available in light beige, soft brown, and untinted, this cream is a super effective sunscreen and offers protection from UVA/UVB/IR sunrays. The products is also buildable (so you can customise the amount of coverage you need) hypoallergenic, waterproof, paraben-free, and suitable for all phototypes (from fair to dark skin). But this isn’t just your average tinted sunscreen; this baby also offers after sun care to protect and soothe skin in one go and the range offers options for normal, dry/sensitive skin (with boosted hydration power and anti-irritant action), as well as oily/acneic skin (with additional pore-tightening, astringent and sebum-regulating action) so you’ll be covered no matter your skin concern. This sunscreen proved to be a lifesaver while I was on holiday in Thailand. It held up incredibly well in the hot, humid Thai weather and after seeing how well the product handled the Thai humidity I knew it would handle South African summer no problem. It’s waterproof so it doesn’t sweat off or budge after you’ve taken a dip, giving you all-day coverage and protection. 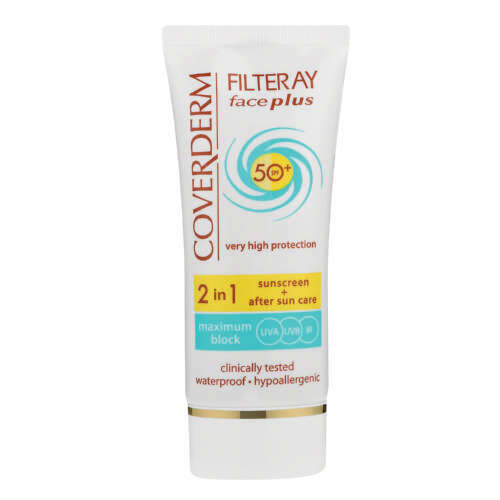 Find Coverderm Filteray Face Plus SPF50+ at Clicks stores for R284. 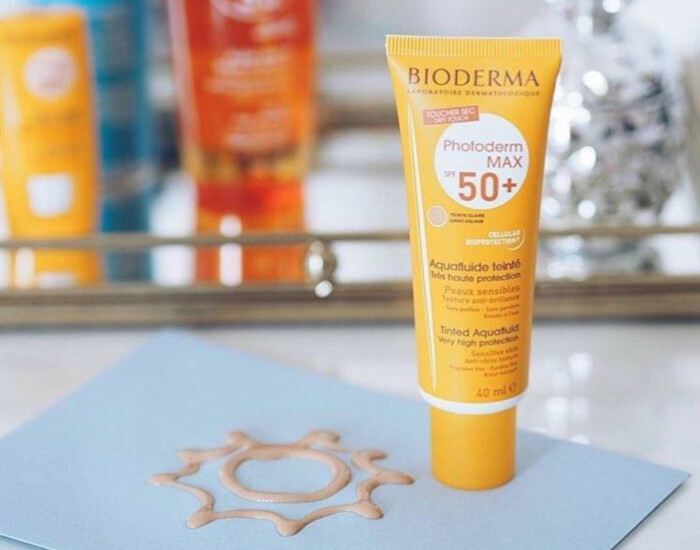 If it’s something ultra-light you want then you can’t go wrong with this beauty from Bioderma. This cream has a very fluid texture and feels as light as water, with a mattifying dry touch finish, when it’s on your skin. The product offers very high sun protection and is ideal for those with sensitive or intolerant skin. Not only does this sunscreen offer UVA/UVB filters to protect your skin from the sun but the product’s Cellular Bioprotection also helps to activate the skin’s natural defences, to up the ante in protecting cells and combatting premature skin ageing. Available in two shades (Light and Golden), this tinted cream is ideal for very fair skin that is exposed to extreme sun conditions (like the African sun). I love how easy this sunscreen is to apply and it gives you natural-looking, flawless finish with a bit of a glow without being too greasy. This golden-tinted cream is an excellent cover-up, evening out the complexion and covering blemishes like nobody’s business. You can expect coverage similar to a BB Cream, so if you want serious coverage, you’ll have to look elsewhere. What’s more, if you struggle with shine on the skin this oil-free formula will be right up your alley — the product offers anti-shine protection, eliminating the need for setting powders on combination to oily skin. It’s also fragrance and paraben-free, water-resistant, hypoallergenic, and non-comedogenic (meaning it won’t block your pores). In the world of tinted sunscreens, Heliocare is right up there with the very best. A broad-spectrum sunscreen thats helps to prevent the formation of pigmentation as well as other visible signs of ageing casued by the sun, Heliocare’s Gelcream is lightweight and gives you just enough coverage to look like a flawless goddess on the beach. Available in two shades (light and brown), this stunning sunscreen has a creamy texture and feels oh-so-soft on the skin. It’s also non-comedogenic but gives you a beautiful soft-focus, dewy finish. 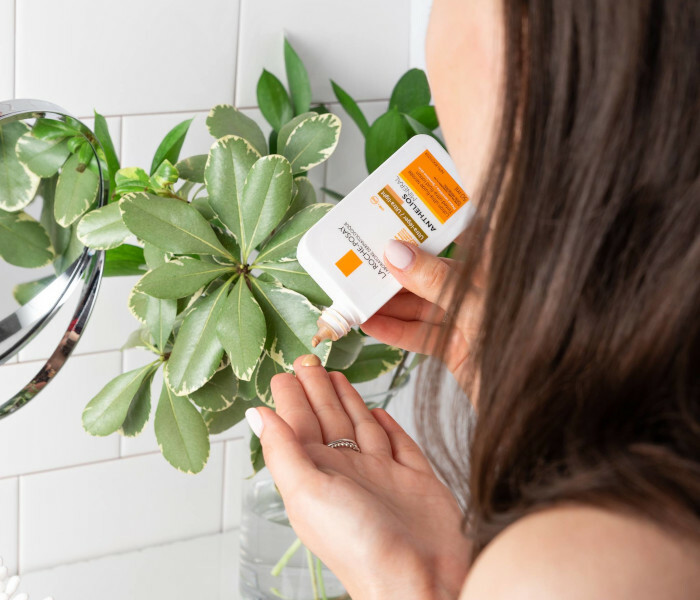 The product makes use of FernBlock, a natural plant extract from Central America with proven photoprotective properties, together with broad spectrum UVA/UVB protection to offer long-lasting protection from the sun’s harmful rays. What’s more, it can also be used as a lightweight cover-up after aesthetic procedures to provide protection and to lessen the effect of medication induced photosensitivity. I’m head over heels in love with this tinted wonder. It smells like a dream and feels super soothing on my skin when applied. It’s my go-to sunblock for a day on the beach when I want my skin too look great without very much effort at all. 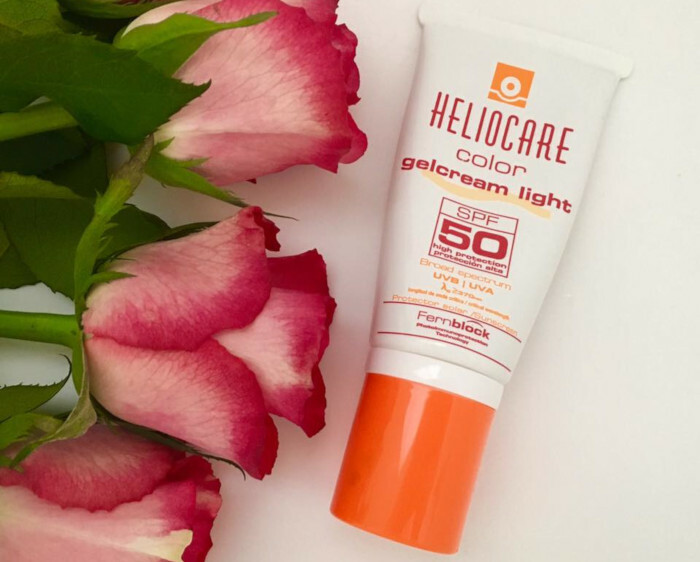 Find Heliocare Color Gelcream SPF50 at Dermastore for R350. This very high, broad-spectrum sunscreen was designed with sun intolerant skin in mind so if you have very sun sensitive skin or are prone to sun allergies, then this is the product for you. 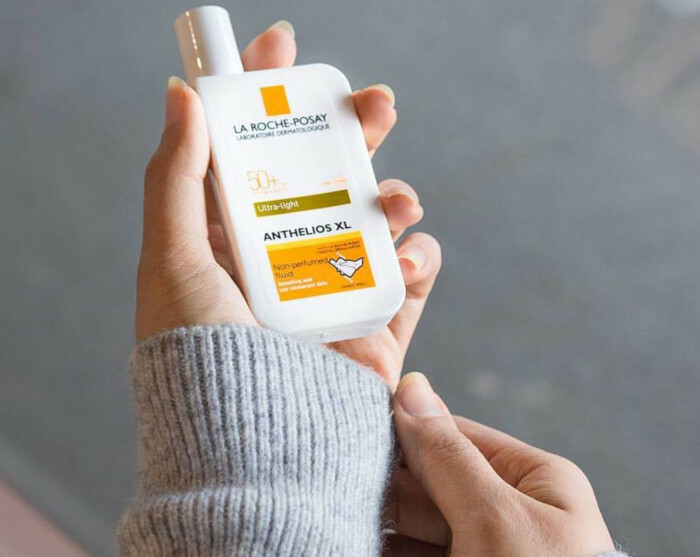 Rather impressively, this tinted beauty from La Roche-Posay offers reinforced protection from UVA rays (stricter than the European recommendation on suncare products) thanks to a powerful combination of a patented filtering system called Mexoplex and La Roche-Posay’s Thermal Spring Water. The product has ultra-light fluid texture designed to give you a more natural, non-greasy glow and best suited for normal to combination skin types. I love it because it’s ultra-light and offers moisturising benefits in addition to the tint. The product is quite runny but it absorbs into the skin almost instantly without being sticky. It’s also very water-resistant so you can swim with it on without having to worry too much about the tint washing away in the pool. The product’s prackaging is also incredibly compact, making it ideal for sliding into your pocket or handbag. Find Heliocare Color Gelcream SPF50 at Dermastore for R240. Want more beauty finds and reviews? Check out our Beauty section for more exciting reading.